An amazing coffee morning was held this May in the Village of Rode to support our services. Family, friends and the local community came together to help a Grandmother raise funds for a group which has helped her Grandson ‘to come on leaps and bounds… and with all of your input will achieve all his potential’. 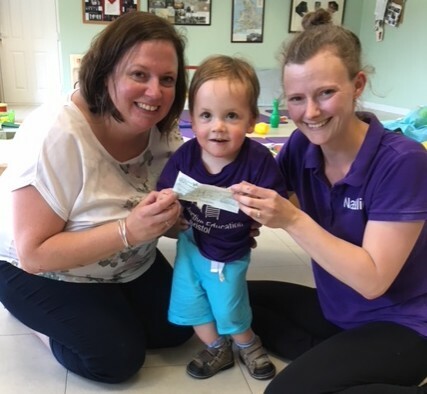 Here he is handing over the cheque – A brilliant £541.20! Thank you to you all for all of your support.